It appears to be a perfect year for lilacs. The buds on the shrubs in our lilac hedge have been waiting patiently for the optimum time to open up. And open up they did! I have a nostalgic bent for lilacs. Growing up on the Canadian prairies where lilacs thrive left me with a strong attachment to the visual and aromatic affect of their blossoms. To this day their fragrance takes me back to earlier times when making up carefree bouquets was a favorite spring time pleasure. Lilac flowers, whether on the shrub or in bouquets invite full on contact; that is…face fully buried amongst the flowers where their fragrance can be inhaled deeply. This spring, as in springs past, their sweetness graces the air inside and out. Lilacs have a long history that dates back to ancient Greece and they are often associated with love, and youthful innocence and memories. (My nostalgia in not ill founded.) In the 16th century this hardy shrub was introduced to Europe. In the 1800’s, the Lemoine family, of France, developed what we commonly know as the French lilac, or double bloom lilacs. 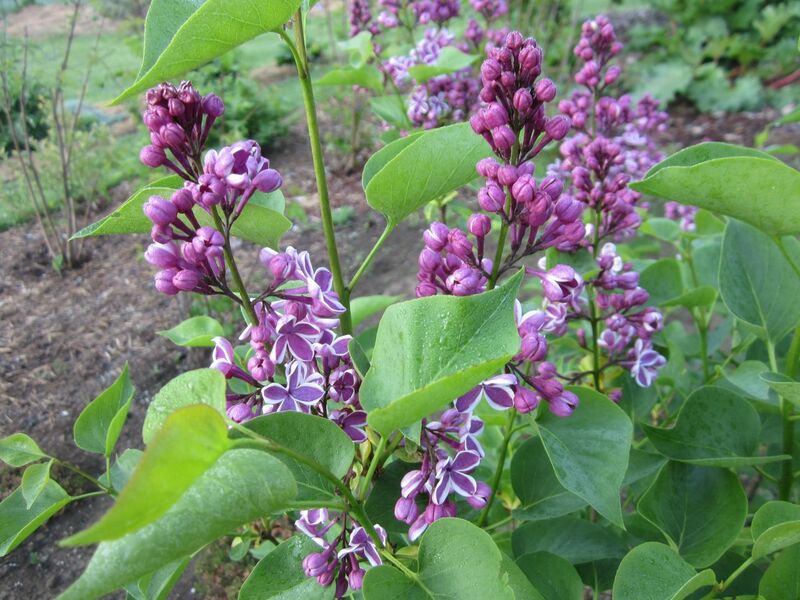 These are easily recognized and differentiated from the sparse single bloom lilacs. 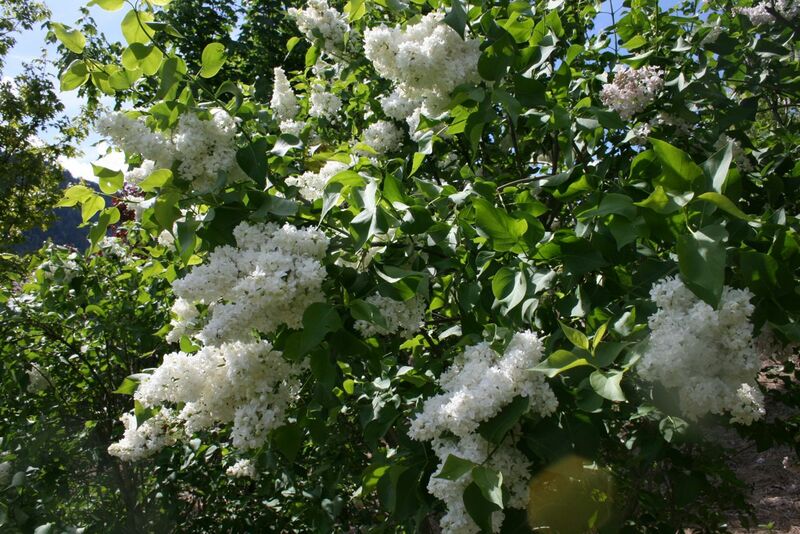 Syringa vulgaris “Madame Lemoine” is a full bodied, double bloom, white lilac that graces many home gardens. 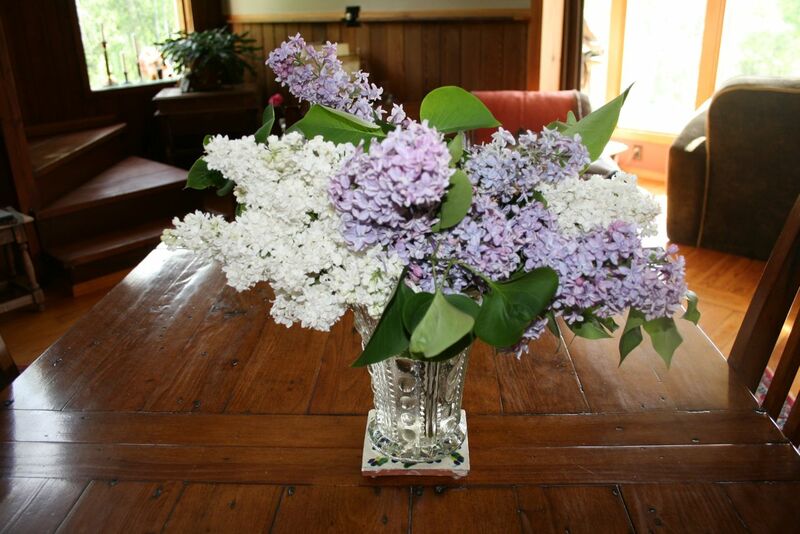 My favorite lilac this year is the French Sensation…a single bloom, white margined purple flowered beauty. She is still young, but I anticipate a lot of joy from her down the road. These hardy shrubs tolerate, appreciate and celebrate the cool, hot and (now) moist weather conditions that we have experienced this spring. 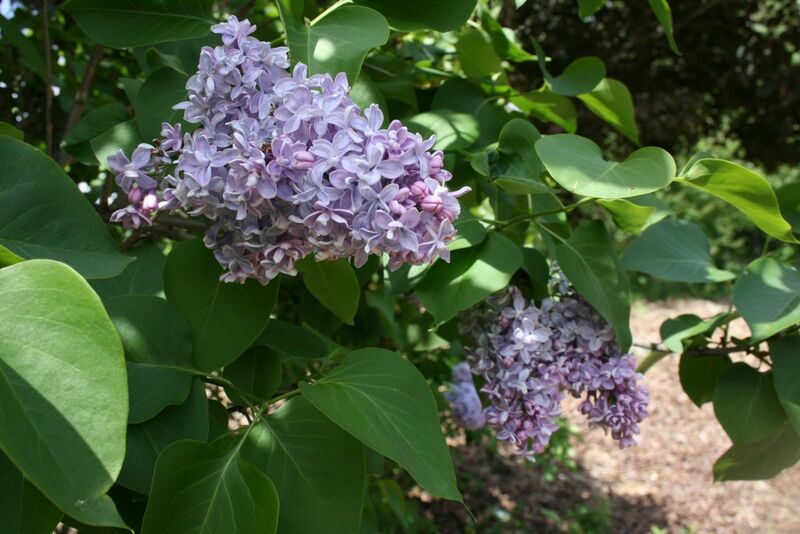 Best situated in a sunny location, lilacs will grow beautifully in well drained, neutral to alkaline pH. 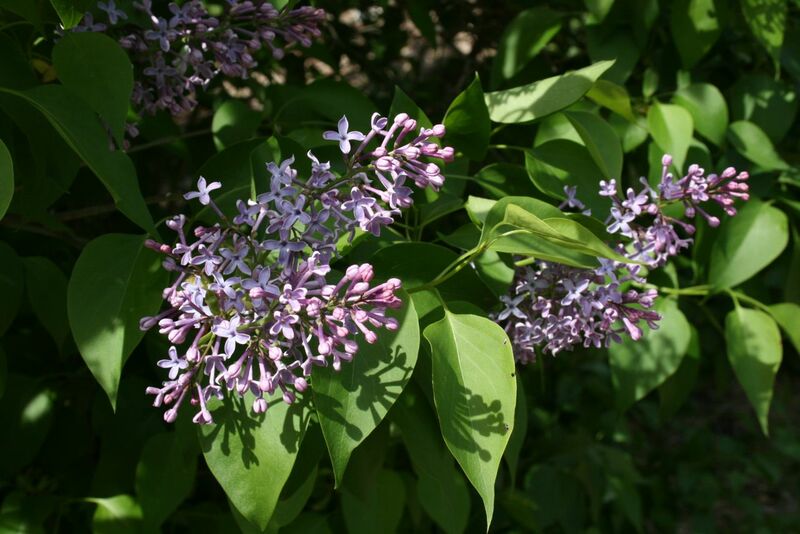 With approximately 25 species available in heights from 5-30 feet, and from zone 2-8, there is a lilac for everyone. 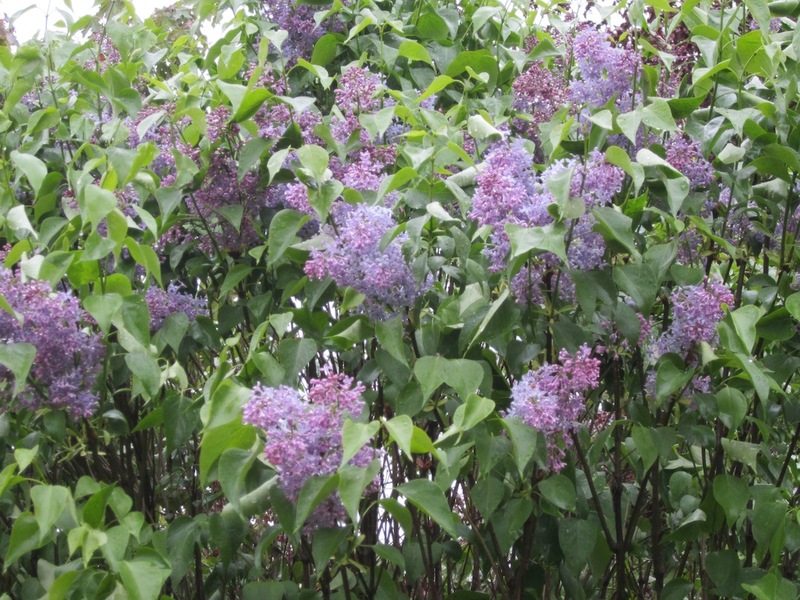 To ensure that your lilacs will bloom year after year it is necessary to prune them after they bloom. The reason for this is that lilacs bloom on last year’s wood, or old wood. When pruned after the blooms are finished new stems have a chance to grow during the summer and into the fall, and will be ready to bear more flowers the following spring. Go and pick yourself a bouquet!